How’s your Lent going so far? Are you hitting a slump, struggling with your sacrifice, and longing for the celebration of Easter? Venerable Fulton Sheen has got your back. For the first time ever, Fulton Sheen’s completed writings and reflections on Christ’s last words have been compiled into one book. Sheen shows how the words of Christ from the cross are a full catechism. 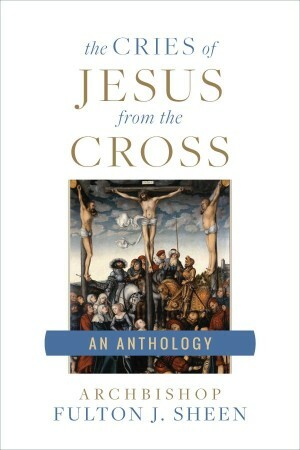 You can read through all of Fulton Sheen’s reflections on the passion and death of Christ with The Cries of Jesus from the Cross, an anthology compiled by Al Smith. But before you go pick up a copy at your local Catholic bookstore or through Sophia Institute Press, read these thirteen quotes to inspire your heart for the rest of Lent! Check out your local book store or Sophia Institute Press for the full beauty of Fulton Sheen’s thoughts on the passion and death of Christ with The Cries of Jesus from the Cross, an anthology compiled by Al Smith.